I’ve tried writing this post a number of times. I seem to never be able to find the right words. 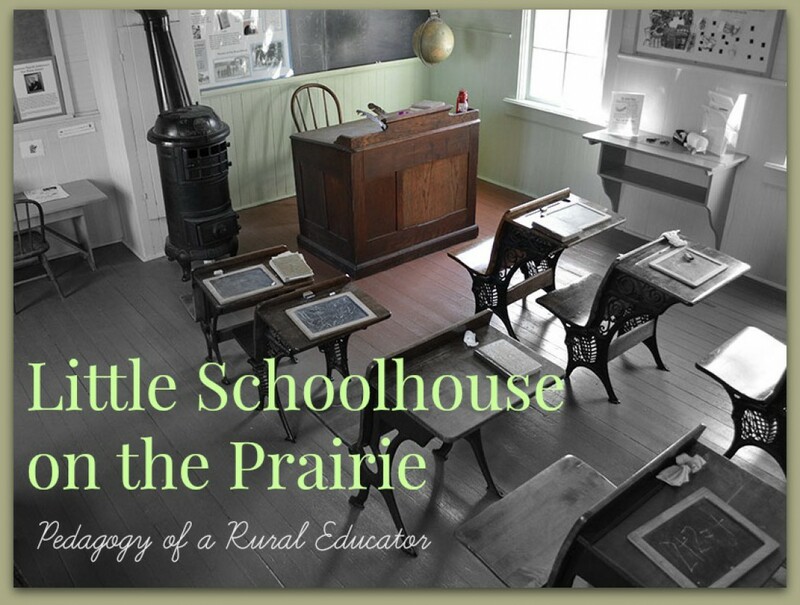 After five years teaching at my Little Schoolhouse on the Prairie, I am leaving. My family is moving about 200 miles east, and I will be teaching at a new school next year. It’s still on the prairie, but it isn’t so little! I’m not entirely sure of the challenges that will come with this transition, but I’m excited to meet them with a smile and determination. Cheers to new horizons and adventures! Categories: General | Tags: job change, new horizons | Permalink. Every year I look forward to the first weekend of February. Being a teacher from South Dakota, you might wonder why I would look forward to any weekend between December and March. The first weekend of February is the Joint Conference of the South Dakota Science Teacher’s Association and the South Dakota Council of Teachers of Mathematics. What does that mean? I get to spend time with teachers! It is rare for a teacher in a rural district to have another teacher in their building that teaches the same content area. You can read about this in my post: What to do When YOU are the Department. And when we get together, we can’t stop talking! This year I presented for the second time. I did a presentation about the basics of Twitter, and how it can be used for professional development of teachers. It was very similar to the presentation I did last year, which you can read about here. I was excited to attend sessions hosted by the South Dakota Highway Patrol on crash reconstruction and the science of drug dogs. I also attended sessions by Sanford Promise and one where veteran teachers were able to interact with pre-service teachers. Although I’ve been teaching for five years, I still find this session to be one that I think I learn more in than I teach! Our keynote speaker this year was Bill Zubke, a retired teacher and motivational speaker. He encouraged us to live with love, learning, laughter, and to leave a legacy. It was incredibly entertaining and encouraging. What a great way to get geared up to go back to our classrooms on Monday! I truly look forward to the conversations I have with the science and math teachers each year at our conference. The weekend helps keep me going through the challenging days and long nights necessary to do my job. It also motivates me to do more and work harder in order to live up to the great legacy that South Dakota teachers have built. I look forward to many more years of spending time with teachers! Categories: Conference/PD Reflections | Tags: Conference, PLN, Professional Development, reflection, rural education, SDCTM, SDSTA, Twitter | Permalink. 30 Day Blogging Challenge – Day 30: Dauntless! What would you do (as a teacher) if you weren’t afraid? Teaching is hard. Teaching is frustrating. Teaching is scary. I mean, really scary. Teachers are responsible for helping students become productive members of society. Teachers are responsible for preparing the next generation of doctors, lawyers, engineers, and you can’t forget, TEACHERS! If I don’t do my job well, I am putting the future of our nation and our world at risk. However, thousands of teachers face that fear every day. They do it because they want to make a difference in the nation and in the world. They love knowing that their students will grow to be productive members of society. They will become the next Steve Jobs, Bill Gates, or Jane Goodall. Teaching is rewarding. Teaching is amazing. Teaching is awesome. I mean, really awesome! Categories: Reflective Teaching | Tags: #reflectiveteacher, Blogging Challenge, Education, teaching | Permalink. 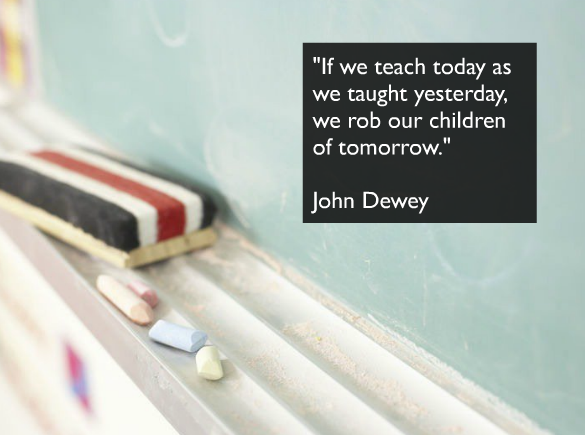 How have you changed as an educator since you first started? At first, I thought it was an insult. Then, I realized that it was a compliment (or I forced myself to see it as a compliment)! This student is now a senior, and has seen me grow as a teacher. One of the greatest things about teaching in a small school is that I have the same students for 4 years. I get to see them grow, and they get to see me grow! I know that I have changed in many ways since my first year of teaching five years ago. I decided to flex my creative muscles for this post and show this change in a fun way! Management – My classroom management has improved greatly! Although I know I still have a ways to go, I have done a much better job of maintaining an environment of learning, even in the chaos of labs! Reflective – Doing things like this blogging challenge has made me much more reflective about my teaching strategies. I think more about how I teach and change what I do if it isn’t effective. Strong – A tough skin is sometimes necessary in this profession. My skin has gotten tougher in the last five years. I take less things personally, and work hard to understand where criticism comes from. Knowledgeable – Not only have I learned more about educational pedagogy, I have increased my knowledge of my subject area in the last five years. I have spent many hours reading current science articles and working to apply them to classroom subjects. I have also gone to multiple professional development conferences and workshops in order to keep up-to-date on the latest information. Enthusiastic – Not much has changed here. I have always been a very enthusiastic person. I was a cheerleader in high school! But one thing that has changed in what I get enthusiastic about. I still love my content, but I now get more excited about new ways of teaching it, and seeing my students’ success in my classroom. Happy – You would think that this would be a given, but I will fully admit that there were quite a few days my first year that I was NOT happy. It was terribly stressful, frustrating, and hard to be a first year teacher. I struggled daily. I’ll even admit that I cried weekly. Its really lucky I made it through! However, with the changes I’ve made through the years, I’ve lowered my stress (and added classes. . . how does that work? ), relieved frustrations, and made my life much easier! Local – After my first two years of teaching I became a “local”. For the first two years I commuted about 40 miles to and from school each day. Now that I live 3 miles from school, I have enjoyed becoming more connected with the community. Expectations – As a new teacher, I didn’t really know what to expect. Now, I have very clear expectations as to what I will achieve personally, professionally, and academically each year, semester, and quarter. Although I’m still very flexible when I need to be, I have a better understanding of what my expectations should be. Realistic – Teaching six classes and coaching a sport can be VERY time-consuming. I have become more realistic about what I can and can’t do due to time-constraints. When I started, I spend every weekend at school or working at home on school stuff. Now, I can usually cut it down to one weekend a month. Although I love doing new and exciting things in class, I have realized that sometimes you have to just do your best with what you have! Well, that was definitely challenging! Now, I look forward to how I will change in the future! Categories: Reflective Teaching | Tags: #reflectiveteacher, better teacher, Blogging Challenge, changes | Permalink. Should technology drive curriculum, or vice versa? 1. Build curriculum and use technology to enhance the material. 2. Apply curriculum through the use of technology when appropriate. 3. Teach students the proper uses of new technology that can be used and applied to everyday living. I believe if you follow these, the use of technology in the classroom will be appropriate and effective. Categories: Reflective Teaching | Tags: #reflectiveteacher, Education, teaching, technology | Permalink. What role do weekends and holidays play in your teaching? A cup of coffee, the Today Show, 2 dogs and 1 cat on (or next to) my lap. I LOVE holidays! Today is Martin Luther King Jr. Day and my birthday (funny how that worked out)! Holidays and weekends are incredibly important in teaching. First, they give me time to relax and rejuvenate, which is super important after working an average of 55-60 hours a week! Second, I typically use weekends and holidays to plan lessons, grade papers, set-up experiments, and do a little professional development. Without this time to plan and grade, I’d never get it done. In a typical day at school I don’t have time to grade papers or plan lessons. Finally, I spend time with my hubby and friends. In my first few years of teaching, I found it very easy to spend 8 hours on a Saturday just doing school stuff. I soon found out that I need to set aside time for myself, family, and friends. Without that time, its easy to get sucked into a world that only includes work. So, here is my advice for new teachers: make time for yourself. You’ll be happier which will make you a better teacher in the long-run!! Categories: Reflective Teaching | Tags: #reflectiveteacher, Blogging Challenge, teaching | Permalink. What are your three favorite go-to sites for help/tips/resources in your teaching? 1. http://www.nclark.net/ For science teachers! She has resources for chemistry and biology from tons of different sites. Just overall a great catalog of science teaching resources! 2. http://youtube.com This is an obvious one, but youtube really has great content. I’ve started doing short videos to start each class. Some great channels include: CrashCourse, AsapSCIENCE, and The Slow Mo Guys. 3. https://www.superteachertools.net/ If you are looking for a new way to review, this site provides templates for games like Jeopardy! and Who Wants to Be a Millionaire?, as well as tools like a random name generator and seating chart maker! Categories: Reflective Teaching | Tags: #reflectiveteacher, teaching, websites | Permalink.